Elizabeth Wefel Encourages Students to Consider a Career in Government Relations | Flaherty & Hood, P.A. 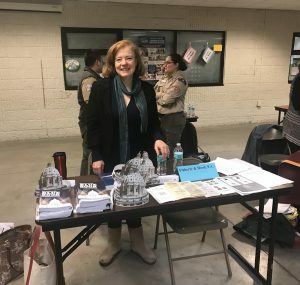 On Jan. 26, Flaherty & Hood attorney/lobbyist Elizabeth Wefel joined other professionals from a variety of fields in a career day program at the Hmong College Prep Academy in St. Paul. Armed with legislative guides and hats shaped like the State Capitol, Wefel met with students ranging from sixth to 12th grade and discussed what it is like to have a career as a lobbyist and attorney. She stressed the importance of getting a good education and becoming involved in civic issues whether at the city, state or federal level.Wefel noted that she was pleasantly surprised by the number of students who expressed an interest in lobbying and becoming more engaged in politics.